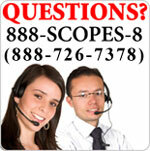 We offer a variety of payment and shipping options. Are you in the US Military? Perfect for students and home schooling! This is a great system with a fine focus and an optional mechanical stage (model O-01217). This is a great system for the student who needs more than an inexpensive entry-level microscope. Great quality and you can't beat a fine focus and mechanical stage for convenience. Plus it includes the larger DIN compatible objective lenses. If your student is going to spend time with their microscope, you should have these features. It includes a pointer in the eye-piece, which allows your child to point it at something he/she finds interesting and then show it to you or others! It's got a 110 mm by 120 mm stage, so those larger specimens will fit on it and a UL approved power cord for safety. 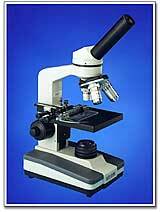 - Standard - comes with a 20W tungsten lamp, the 'normal' illumination system for this type of microscope. - Fluorescent - Upgrade to a bright, long lasting (approx. 5000 hrs), low temperature bulb. - Cordless - super-bright, variable intensity LED lighting and a rechargeable base. Runs up to 15 hours on one charge. Bulb life of 100,000 hours!! Runs very cool. Perfect for field study, or where AC power is not convenient in work area. 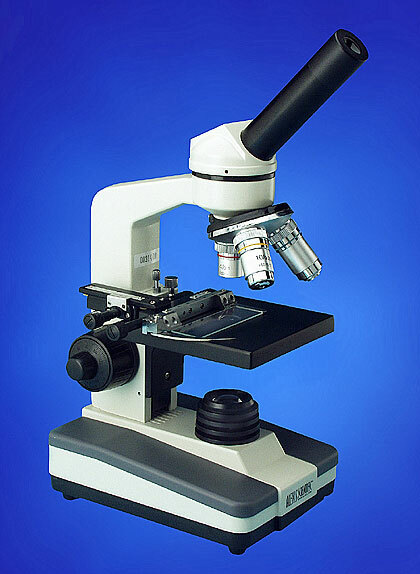 Here's a list of the many features included with this intermediate-level student microscope package. Built-in illuminator base with either 115V 20W tungsten, LED rechargeable, or 115V Fluorescent lamp! Overall size: 5" x 7" x 12 1/2": 4 ½ lbs. Get the Model O Microscope with Mechanical Stage, a Digital Camera (if 'Digital Bundle' selected), the Accessory Kit, and FREE GROUND shipping to anywhere in the continental U.S. Just choose one the BUNDLE SPECIALS. IMPORTANT NOTE: bundled products will be shipped via ground service regardless of the shipping method selected during checkout. Free shipping offer applies only to items in the bundle. If you add other items to your order, additional shipping charges will apply based on the shipping method you select. If you would like to order these items shipped via air or to Alaska/Hawaii, simply select the items individually. You will then be given the opportunity to select the shipping method. ALSO AVAILABLE is a MICROSCOPE CARRYING CASE made of nylon with heavy duty straps and zip-down side. Separate inner liner provides support. Easy fitting straps inside adjust to secure microscope.